Click here to read the latest edition of the Elementary School Newsletter. Research shows that starting the day with a nutritious breakfast helps students stay alert and perform better in school. Having breakfast also helps students develop healthy eating habits that contribute to their well being. The Lake Linden-Hubbell School District participates in the School Breakfast Program. Nutritious, balanced and healthy breakfasts are served Monday through Friday from 7:30 a.m. to 8:15 a.m. The Lake Linden-Hubbell Elementary School would like to congratulate students for making the Second Marking Period Honor Roll. Click below to download the Honor Roll list. The Elementary PTO is sponsoring Popcorn Fridays once each month. The next Popcorn Friday will take place on January 4, 2019. Money for the popcorn must be turned in on the Thursday before. The Lake Linden-Hubbell School District has implemented a program that will allow school officials to communicate important information to parents and students via text messaging and/or email. This messaging program will be used for such things as school closures (snow days, early dismissal due to weather), emergencies and other important announcements. You may sign up to receive the alerts via text message, email or both. If you need help or have any questions, please contact Lori LaRoux in the Superintendent's Office at 296-6211, option 1 or via email at larouxlo@lakelinden.k12.mi.us. The Lake Linden-Hubbell Elementary School collects GENERAL MILLS BOX TOPS and ECONO FOODS RECEIPTS throughout the school year. Please check the expiration dates on the box tops. Econo Foods receipts should be for the current year. Proceeds from these fund raisers enables the PTO to purchase items and fund requests that benefit the students in grades K-6 at Lake Linden—Hubbell Elementary. Your efforts are very much appreciated. 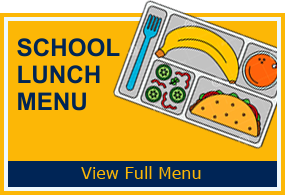 Payments may now be made online for student lunch accounts. To make an online payment, visit SendMoneyToSchool.com by clicking on the link below. You will need your child's lunch ID number which you may obtain by calling any of the District offices. 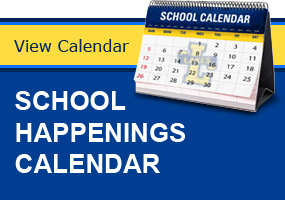 Click below to download the calendar for the 2018-2019 school year. The most recent issue of the News & Views District Newsletter is available. Click below to download. Elementary School - 10:15 a.m. to 3:04 p.m.
Local radio and television stations will announce details of the school delays and closings. The Lake Linden-Hubbell Schools will also display the information as an "Urgent Message" on the district home page as well as sending a text message via our emergency alert system. At their September meeting, the Board of Education approved a Charging and Denying Meals Policy that will become effective in October. Please click on the link below to review the details of this important information. 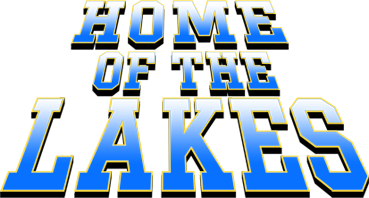 The Lake Linden-Hubbell Schools is pleased to be able to offer online event streaming for athletic games and other school events. Viewing an archived event is free after 72 hours. Live viewing is available with a paid subscription for which several options are offered.